Explore the happiest country on this earth, each traveler who visits traveler gets back with a huge smile as it makes everyone happy through its beautiful clear blue skies, lovely weather, and romantic atmosphere. 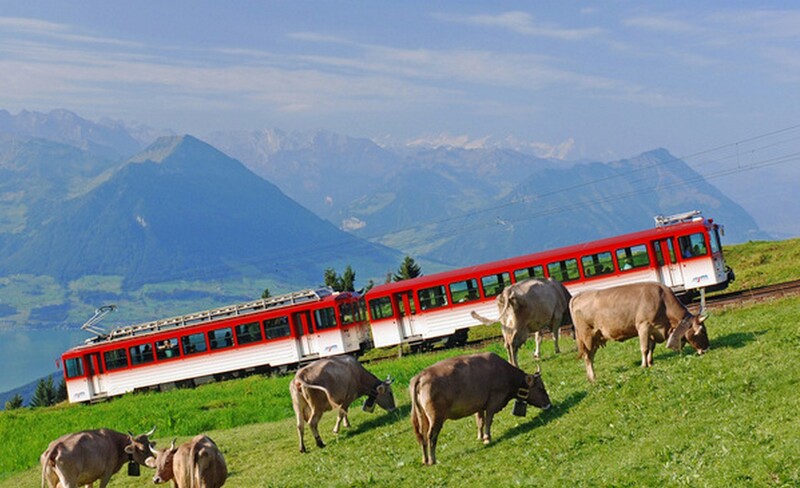 It has something for everyone explore this scenic beauty with our Switzerland holiday packages. The main shopping zone is centered in the downtown area, which makes it perfect for people on foot. The applauded Bahnhofstrasse - a standout amongst the loveliest shopping territories in Europe - is an unquestionable necessity. 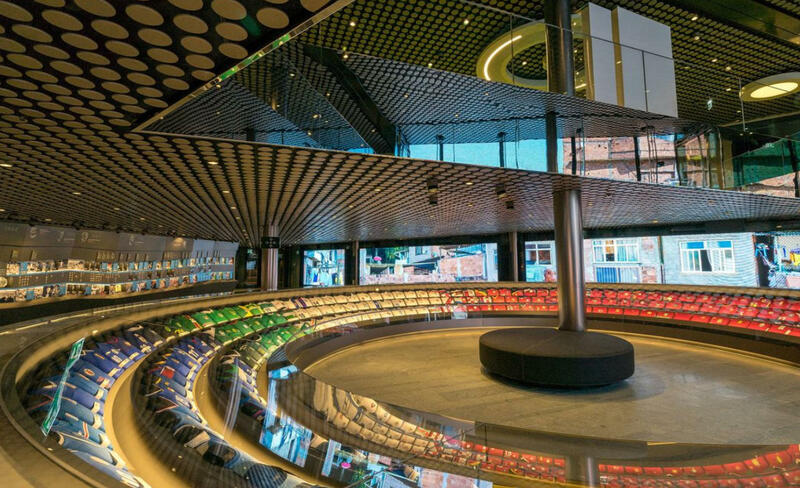 Rich design stores, retail chains, boutiques with best quality items (shoes, hides, adornments, porcelain, gems and watches), banks and baked good shops. The national museum which stands to Zurich main train station is reminiscent of a fairytale castle. It resides within a historic- castle like building in the northern tip of kreis 1. 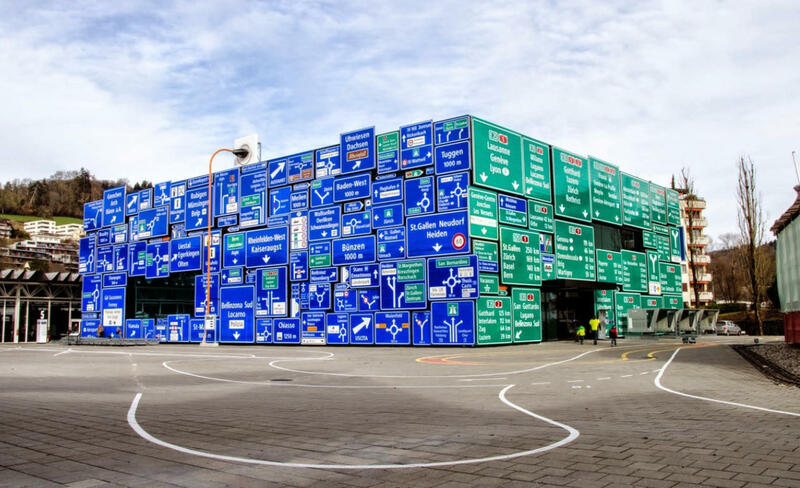 The exhibition hall reviews Swiss workmanship, history and culture from as far back as the fourth century B.C. Shows cover everything from medieval and religious frescoes to weapons and Swiss furnishings. There are likewise a few fancy rooms to explore amid your visit. 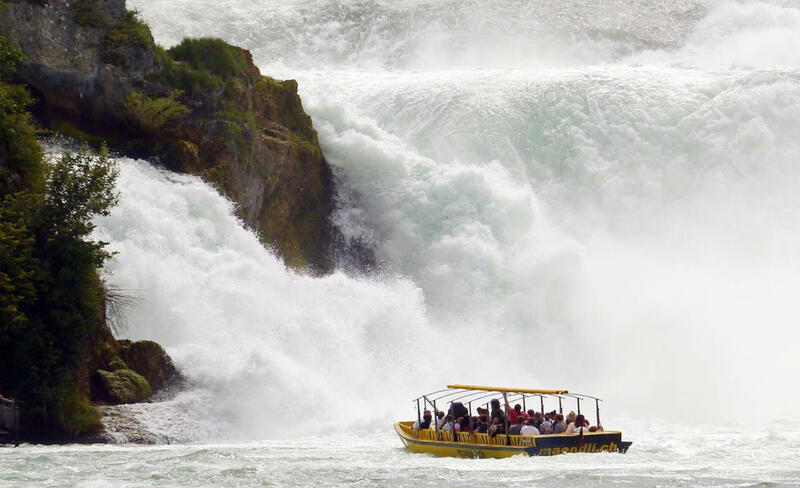 The biggest waterfall in Switzerland is the Rhine Falls provides a magnificent spectacle of this 23m tall water plunge. In addition to the falls, one can visit the medieval Laufen Castle, Munot Fortress, souvenir shops, Rhine Fall Park, etc. It remains one of the most atmospheric parts of the city with its historic buildings and enchanting architecture. It is known for its charming cafes and also termed as the cultural epic centre. As soon as the sun sets, the old town sets the scene for a bustling night life scene with numerous bars and cozy restaurants. 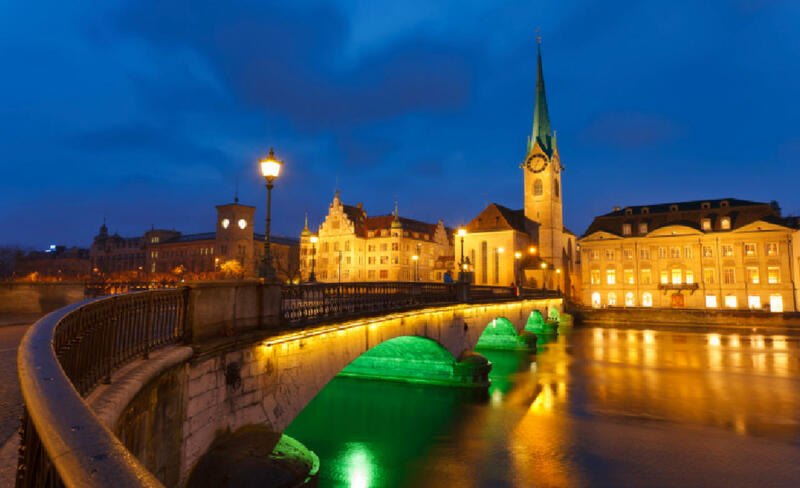 Zurich’s Old town is a cultural and surely a social and historical melting pot. The FIFA World Football Museum was made out of appreciation for the most popular group activity on the planet. The gallery introduces the entrancing history and advancement of worldwide football, thinks back on real competitions and shows how football has affected as well as enhanced the lives of a wide range of individuals. 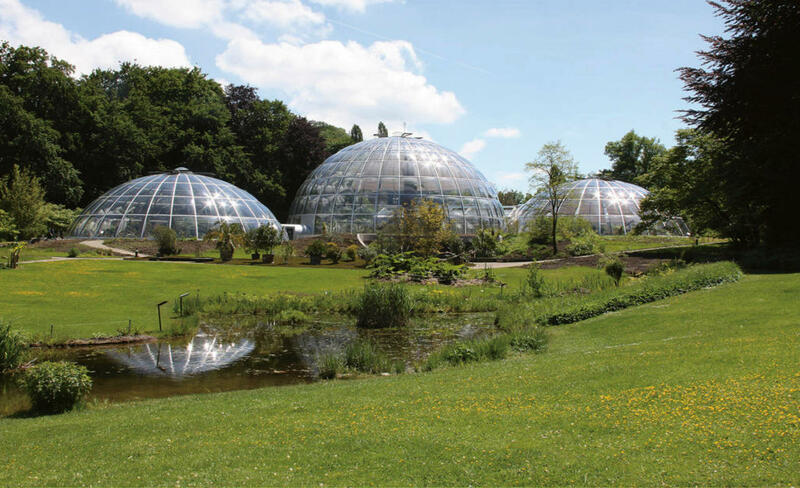 Established in 1837, the Old Botanical Garden is still a standout amongst the most charming spots in Zurich. Its focal area makes it open for the two local people and guests who wish to venture into a captivating green space. The Garden’s main goal is to provide a systematic representation of the world’s flora. 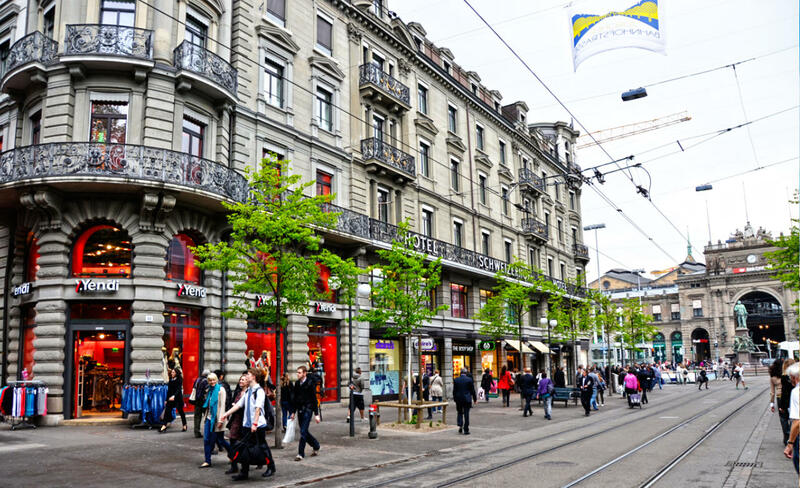 You can explore the Zurich city by trams. Through the old city, mechanical zone and the two sides of Zurich Lake. 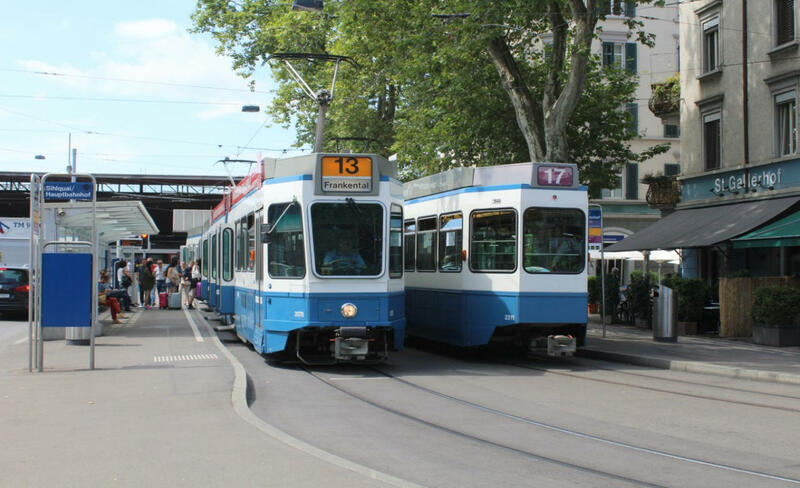 The simplest way to get around Zurich is on foot together with public transport vehicles, trams, buses and trains. 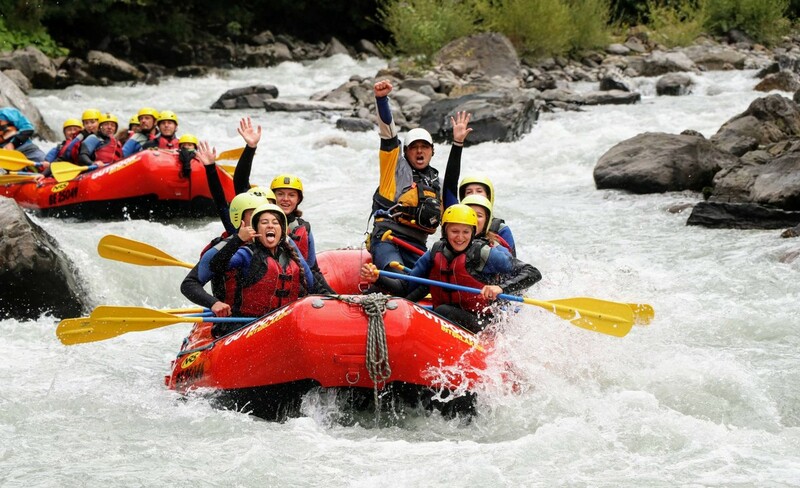 The mighty Lütschine offers some of the best white water rafting in the Swiss Alps. Here you will find everything from fast flowing Alpine river to thrilling water actions. Interlaken is internationally renowned for its variety of rivers and also for its white water river rafting tours. It is all in one an exhilarating rush from start to finish. You will be amazed and stunned by the beauty and uniqueness of your experience. So what are you waiting for? Get ready to experience the same and cherish it all your life. 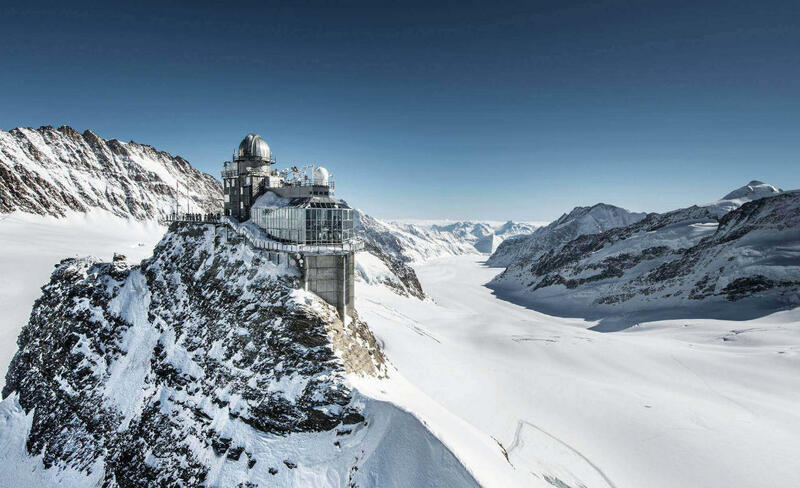 Standing on the Jungfrau at 3,454 meters above sea level, you will definitely feel it with your first step that altogether this is a different world. And surely without any doubt this will be a once in a lifetime kind of an experience. Gentle icy winds across your face, snow crunches under your feet and the stubbing view will take your breath away. Just breathe and feel all the senses and good vibes that reside within you at this exceptionally beautiful place. Lake Thun near Interlaken and Bern is one of the best lakes for enjoying cruise boat excursions in Switzerland. 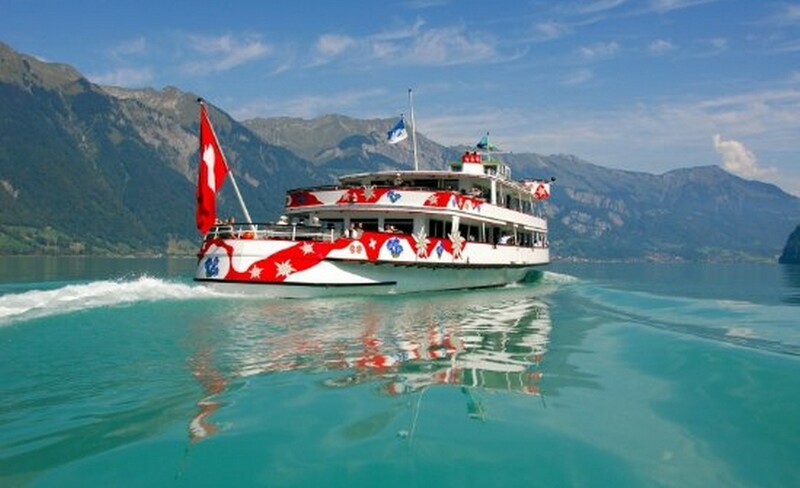 Pleasure cruises on Lake Thun easily unite with excursions. Cruising the full length of Lake Thun and i.e. from Thun to Interlaken West just takes over two hours. This could be experienced year around destination. Lake Boat cruise on the Brinzersee between Interlaken and Bern with marvelous views of Alps and easy access to many sights. 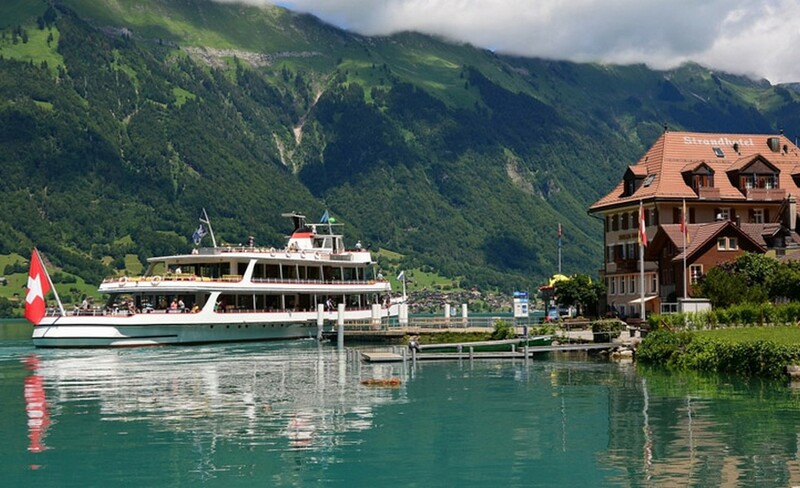 Cruising here is possible on Lake Brienz from early April to late October. The beauty of this area is magical; enjoy premier vistas to the surrounding mountains, forested hills and waterfalls. Incredible Saint Beatus apparently picked St. Beatus Cave for his shelter in the wake of driving a fire-breathing monster into Lake Thun. This obviously is just a legend; however what is clear is that the cave in includes wide corridors, gorges, dreadful limestone structures, just as confounded stalactites and stalagmites close to the underground cascades. 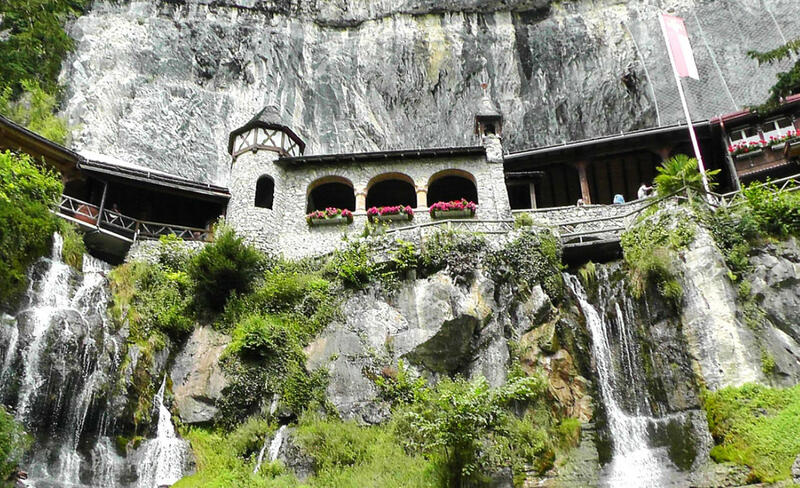 In addition to the fact that waterfalls flow inside, they spill out of the outside of the mountain, surging underneath an old Swiss-style house roosted on the mountain, and enhanced with stone just as ivory and coppery detail. Mt. Pilatus is a jagged mountain that overlooks Lucerne. Cable cars and Cog railway whisk visitors to the top. Here you can go hiking and take in the view from handful viewpoints. 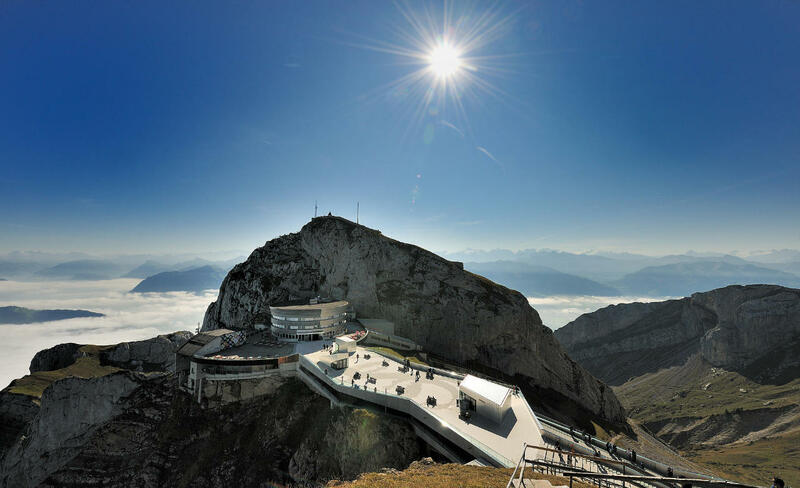 There is so much to do in Pilatus that you can spend your entire day here and have fun with your friends and family. And of you are looking for a short, scenic walk, along the jagged peaks, this is a good one to. One of the mark encounters in Switzerland is to ride the cog- railway from the shores of Lake Lucerne to a rise of 1,798 meters on Mt Rigi. This is Europe's first cog railway and you can ride in reestablished cars going back similar to the railroad's start. 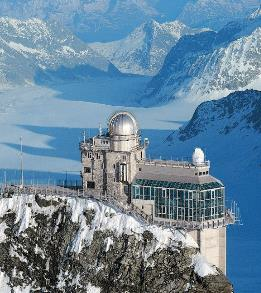 It is located in the heart of Switzerland, and Mt. Rigi is perfectly accessible from all four points of the compass. The mountain railway will take you up at the right into magnificent Alpine world, where you just get off and enjoy life. As simple as that. 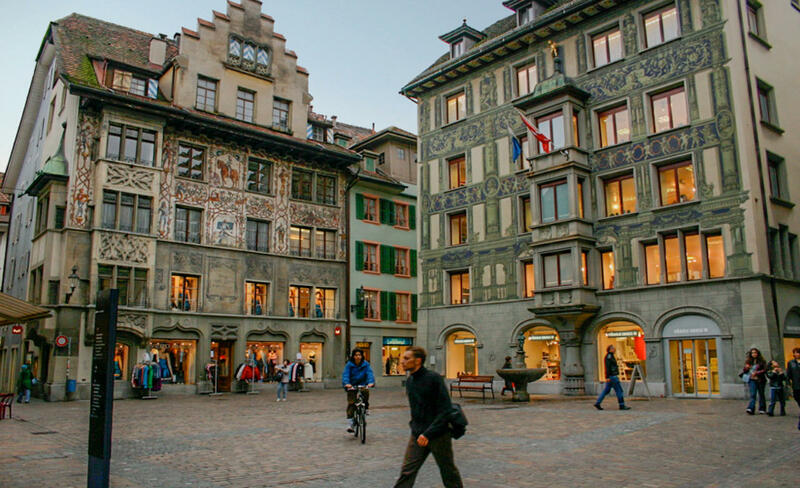 Switzerland's most-visited gallery is a place to encounter the historical backdrop of street, rail, water-and air-borne versatility, just as that of room travel. Its intelligent attractions are certain to prevail upon you – whatever the climate. Switzerland's biggest film screen in the Film theatre presents narrative movies in XXL organize. This fourth largest lake lies in the well-preserved town of Lucerne where the River Reuss flows out of the lake. It is also known as 'Lake of Four Cantons' because it has four arms spread at sharp angles surrounded by fjord-like beauty with mountains on all the sides. One can board from Luzern Bahnhofquai to Fluelen in one of first five 20th century's paddle steamers for cruises on the lake where you can enjoy a three course meal and many other attractions. Also, a small Lake Lucerne panoramic sightseeing cruise allows visitors to explore alpine peaks and history of the town on a yacht with indoor and outdoor seating. Adventurous tourists can hike or bike around the lake. Biking around the lake is very convenient and preferred for most of the tourists. It Was A Demonstration Of True Flamingo Spirit! I would like to share my experience of 'Eureka Europe' - Flamingo Travels! This travel story of mine happened at approx 3200 meters on Mt Titlis, Switzerland. By narrating this story I am trying to introduce you to the true Flamingo spirit! Our trip was indeed memorable because it was our honeymoon! Flamingo is the best in business because they know to touch hearts and being our honeymoon, they made sure that we get an extra night in Paris. We arrived a day early to Paris and got time to explore the city of love! We couldn't ask for more! 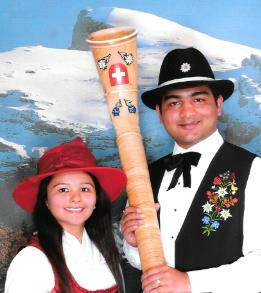 After Paris and a few other wonderful destinations, we arrived in Switzerland. Our third day at Switzerland was planned for Mt Titles. Being a very beautiful place, Mt. Titlis experiences a heavy rush of tourist every day. Mr. Kiran Patel being our guide was very supportive of his approach and guiding us throughout the trip! Kiran Bhai instructed us really well about the situations in advance, so we all members were ready on time in the morning. We reached on the mountain earlier than other tours and we enjoyed the great weather and exciting snow activities without any rush. Our lunch was scheduled for 12:30 pm at the first base of Mt. Titlis, at the restaurant named as Trubsee. All members were supposed to reach there by the time. Now comes the tricky part! On the top of the mountain, there is a very popular PhotoStudio(www.phototitlis.ch) which dresses up the tourists in a traditional way and clicks a very beautiful photo for a souvenir. As it was our honeymoon, we thought to have a memorable photo for ourselves as well. It was already 11:30 so I told Kiran Bhai to leave for the lunch as we will come down ourselves after photo shoot to join everyone by the lunchtime. He agreed and all our tour members started leaving by 360° ropeway. But there was a trouble! It was almost 12:30 and we still were in a que. I called Kiran Bhai and make him aware of the situation. He told me to be calm and continue with the shoot as lunch is not yet started. It's about 12:50 and still, we were in a queue. Lunch was about to finish downstairs. There were other tourists in the queue with us. As the time passes by, many of their respective tour guides started internal arguments regarding time issues with the passengers. Their tour guides were blaming the passengers for being late and literally forcing them to leave the queue and skip the photo shoot, or else no one will be responsible if they miss the tour. It was surprising and strange for us. We were feeling fortunate as our tour guide was being very supportive. It was about 1:00 now, we were getting panic and thought of leaving the queue as it was a time to leave for a bus. I called Kiran Bhai again to start leaving or the ground as we will skip the lunch and join all directly on the bus. Now is the beautiful part. Kiran Bhai literally convinced us that it is absolutely fine that we would be late, as all other passengers were aware of the situation and they told Kiran Bhai that they would wait for us. It was so overwhelming for us! We finished shoot around 1:30 pm, one hour late! We rushed to the ropeway and reached Trubsee at 1:45. Everyone along with Kiran Bhai was happily waiting for us. They all made sure that we do not skip the delicious Pavbhaji of Trubsee. As we started having lunch, co-passengers started leaving for the ground. Mr. Kiran Bhai was waiting especially for us and he came down with us. We had a very good photo memory which we shared with everyone. It was family like feeling which words can't describe. We were truly blessed to have such family-like co-passengers and a guide! It was a demonstration of true Flamingo spirit!